Technology is often expensive, especially those that are recently released. We, as humans are always in the search for something that is different but also useful. We are now in the age wherein we depend too much on technology to make our lives better. However, we are also looking for better alternatives that do not break the bank. It is always better to make use of a quality gadget that is not expensive but still relative. In the age of connectivity, there are a lot of gadgets that can be used in conjunction with other gadgets. There are peripherals that make our technological experience better. We have our iPhones, iPads, Mac PCs, and other peripherals that can easily be used together with a very simple device called a thunderbolt cable. This cable that is offered by Apple can easily transfer pertinent files from one device to another in a jiffy. As long as the said devices are equipped with a Thunderbolt port that are present in most of the newly released gadgets. 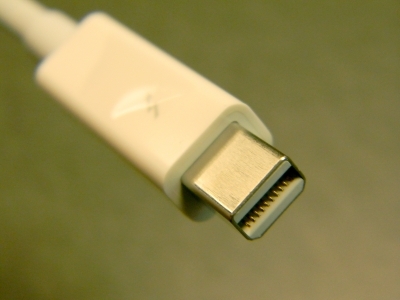 Nowadays, file transfers and connectivity are making use of USB and FireWire, though both are effective, they are not as fast as a thunderbolt cable. This cable boasts of a speed in the tune of 10Gbps that is incomparable with the current cable offers in the market. With this feature, one expects the value to be off the roof but Apple was able to offer a cheaper price for this exceptional cable. A 0.5m cable is retailed at $29 in any store that carries Apple products. This price is only fitting for a cable that exhibits high performance. The said cable is also capable of displaying images and videos at a high speed with crisp images. It has been noted that the use of other cables are not up to par with the affordable thunderbolt cable because of their slower speed in transferring the images. The said images may be distorted or they might not be seen well with the use of other cables with different speeds. The rendering of 3D scenes and 2D graphics at an accelerated speed is best done with a thunderbolt cable because those activities take a lot of time to finish that a regular cable would not be able to cope up with. Specific tasks to make an image lifelike require a very big memory that requires super fast connection as well. With the thunderbolt technology, all display and connection needs are made easier and now, cheaper. This kind of technology was made affordable for everybody to suit everyone’s needs. There is no need to spend hundreds of dollars just to be able to use this kind of technology. In today’s world, everything should be within reach.